I was gifted product for the post- but all opinions, good and bad, are my own! You all know I love drug store beauty products - especially for the prices! 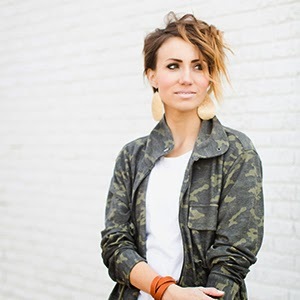 There are some items in my makeup bag that are definitely worth the splurge, but for the most part I find that some of the most inexpensive items are my go-to products. I have tried a lot of different brands, but one that I always want to try, but haven't, is e.l.f. Their prices are so low that I am usually pretty skeptical of their quality. It would be too good to be true if their $1 eyebrow brush worked just as well as my $12 one, right?!? Well, this week I tried out several of their products, and I'm happy to report that I found a few that I love. They are the right price and they work! My favorite e.l.f. products are ones that you can see in this everyday make up look. I loved the Super Glossy Lip Shine in Pink Kiss. It wasn't too sticky and I love the color. The other e.l.f. products that I used for this look are the Custom Compact with the colors Pink Ice, Taupe, Sage and Dusk. As long as I used the eye shadows with a primer, they did a great job staying on. The other products that I loved really surprised me! 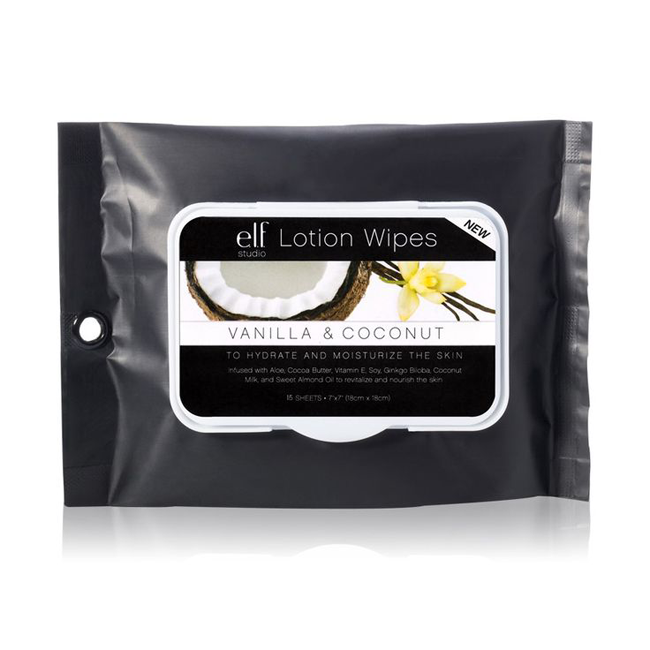 I loved the Vanilla and Coconut Lotion Wipes - they definitely moisturized and they smell amazing! I've never used wipes like those before, so they were fun to discover. I could see carrying them in my bag on a trip and using them all winter when my face just needs some moisture! But my favorite product of all ended up being the Eye Refresh. I'm sure there are more expensive versions of this out there, but I can tell you that this $3 version works. It almost immediately diminished my dark circle and any puffiness around my eyes. It is amazing. I use it daily now and it definitely makes me feel more human when I am in a pre-make up state. All in all I was pretty happy with what I found with e.l.f. You get more than what you pay for in certain items, and others definitely work in a pinch. 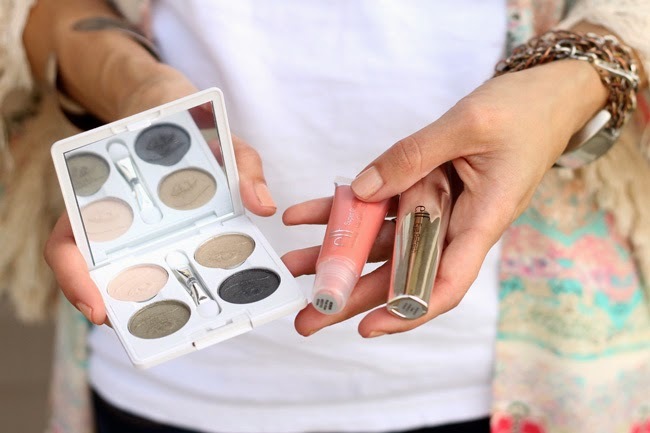 If anything, this is a makeup line that you can easily experiment with. After all - almost everything is a dollar! You can find e.l.f products at most Targets and some Walgreens or on their website (which is what I've linked to above). 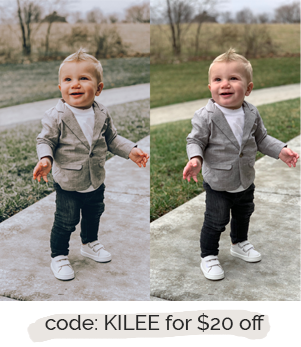 Do you have a favorite e.l.f. product? Which ones should I try next? I love their lip stain! I've tried the gloss & like it ok, plus those wipes. Love those wipes! Their eye lid primer. I have use it for years. 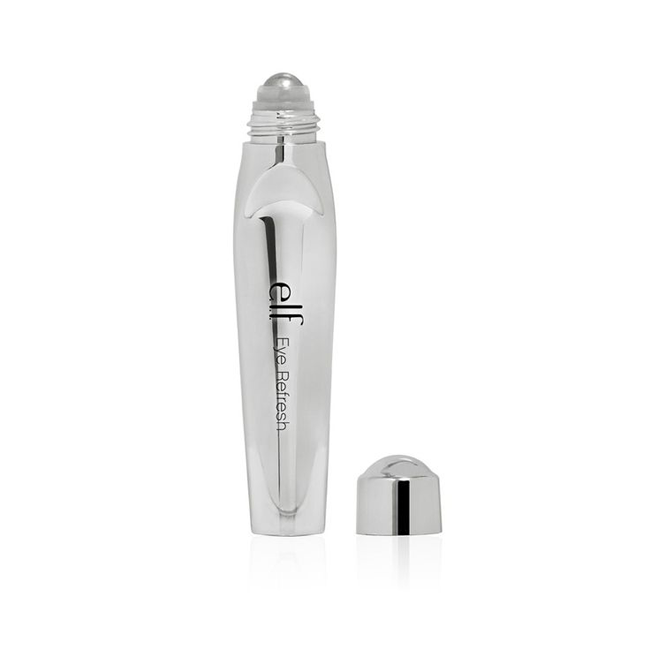 A little goes a long way and it works great at keeping my eye shadow in place. My local grocery store has some elf makeup. The eyelash curly is great as well. I have bought their blush, and like it ok. It doesn't seem to go on very heavy color wise. So I find myself using a lot. I was not a fan of their mascara. It didn't seem to work at all for me. This is one line that I can't wait to share with my daughter's when they get older. I can afford for them to experiment with makeup! Thanks for the tip on the eye refresher. Going to have to try that one. Pretty, pretty! 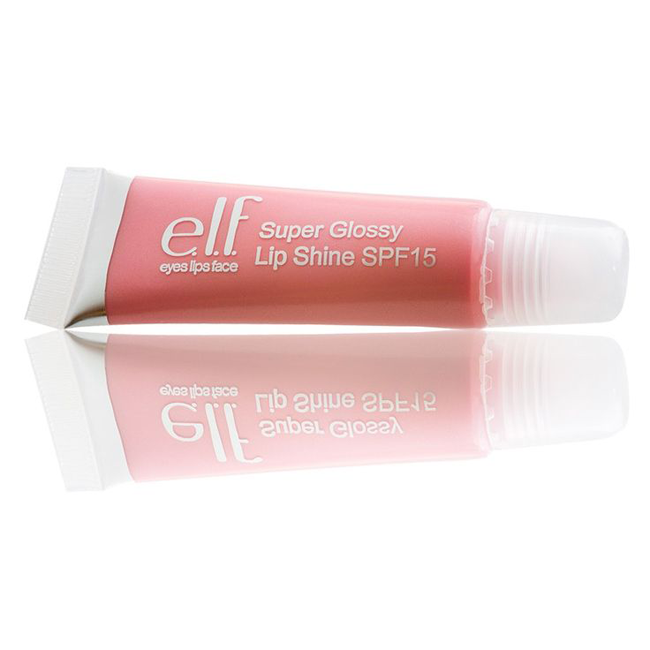 I love lip glosses and this one looks amazing. 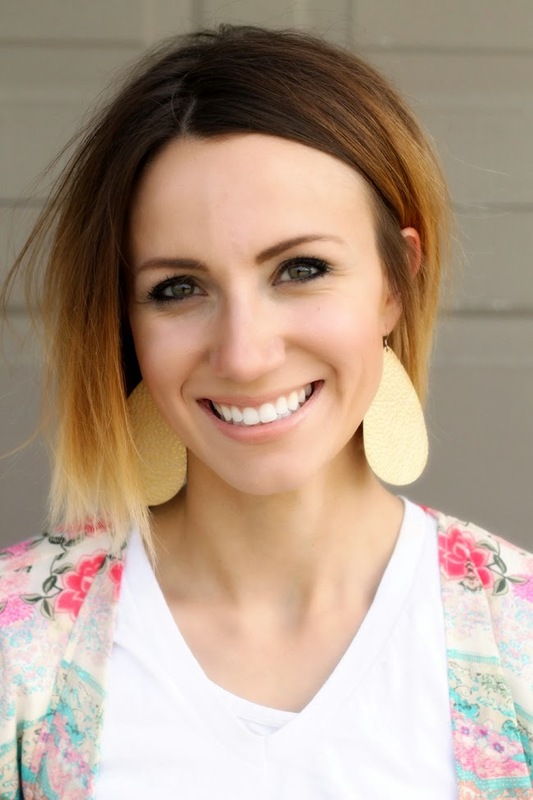 I just discovered your blog and have loved it, especially since I am petite as well, and we have the same haircut! Anyhow, I love e.l.f., especially their liquid liner. I have very oily eyelids, and that is only brand of eyeliner (including some $30 ones I tried-- yikes!) that stayed all day. I also really like their blush and lipstick. For those in the Midwest, some Meijers carry e.l.f. as well. ELF products are surprisingly good. They were not that way when they first launched but they have come very far!! Can you do a post on how you did your eye shadow? It looked great!